Spring 2019 Semester Registration is still open for new members! We will pro-rate your tuition for the remaining weeks! Hurry! Few spaces are left! Classes available from birth through piano! Babies, toddlers, pre-school, kindergarten, and 1st grade. Also, offering adult piano classes ... call or e-mail for more information. Classes are offered mornings, afternoons, evenings and Saturdays! Leilani Miranda, owner of The Music Garden, leads the popular studio with over 40 years of early childhood music education experience! She is a world reknowned Musikgarten trainer and presenter! Joining Ms. Leilani in the studio is Ms. Sonya and Ms. Emily! Our teachers are not only degreed and certified, but bring their love of music and passion for teaching children into the classroom! 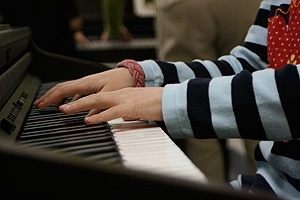 With their unique approach, children have fun through games, songs and activities from birth through piano. *We tune the ear, refine the voice, and develop a rhythmic body through which music can be expressed! 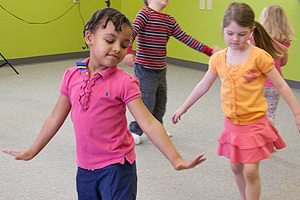 In our program, your child will learn music as a language. We offer a sequential path to music literacy from birth! Ask about our motto "Plan until 10..."
Your child's confidence builds through each lesson and level. Patterns as our foundation: Patterns are an integral part of our classes from Baby Music through Piano! We adjust the modatlity developmentally...from only aural reception, to vocal responses, to inclusion of symbolic language, to visual, to writing and reading, to improvisation! Musical Scaffolding: Each level of Musikgarten is specifically designed to lead to the next, culminating in music literacy and proficiency on an instrument. As one parent put it, "The songs they sing in toddler class become the songs they play on the piano!" Piano Graduates are independent, literate, intuitive musicians who sight-sing, sight-read, write, compose, improvise and transpose in all keys! 14501-C Memorial Drive 77079 next to Baskin-Robbins! ... Look for the white French door and beautiful potted plantings ... Road construction visible on Google Maps in now complete! Always check the studio schedule before you plan to visit. Please call or send an email! Teaching music ... understanding children since 1984! © 2019 MUSIKGARTEN:: The Music Garden All Rights Reserved.